A total of 199 fine motor ideas for kids! 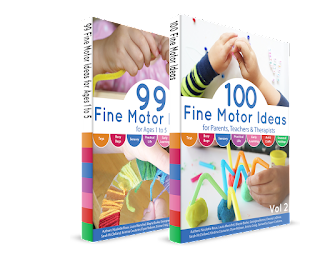 Get the absolute best fine motor activities for kids by purchasing the bundle of the popular ebooks 99 Fine Motor Ideas and 100 Fine Motor Ideas. $16.99 US | BUY NOW!